In one of the biggest broadband projects in the country, the state-owned telecom major Bharat Sanchar Nigam Ltd is planning to provide broadband connections to 110,000 schools in the country. The public sector unit is also looking at roping in the Ministry of Human Research and Development for the project. The company will be offering both wireless and wired broadband connectivity. In the first phase to be completed by December 2007, the company will provide connectivity to 15,000 schools in 1,500 towns. Under the second phase, the company would cover 20,000 schools in rural areas. In the last phase, the remaining 65,000 schools across 5,000 blocks will be covered. In the 11th Plan, the states will have to spend more on Sarva Shiksha Abhiyan (SSA). The funding pattern has now become 50:50 between the states and Centre. For the last five years, ever since its inception, the funding pattern was 75:25 where the Centre paid 75 percent and the states 25 percent of the entire year’s budget on elementary education. The situation is particularly bad for the northeastern states, which used to get preferential treatment and had 90:10 funding pattern. But the state governments want to continue with the ratio of 75:25. The states had already expressed their inability to spending more on SSA. A group of women farmer- filmmakers from a remote village of Andhra Pradesh has won the prestigious University Grants Commission- Consortium of Educational Communication (UGC-CEC) National Award for “Best Educational Video Film”. The winning film was one of 246 entries to the competition held recently by UGC-CEC, an inter-university body that promotes educational television for Indian varsities by running an educational TV channel, Countrywide Classroom. The Dalit women-farmers of Pastapur village in Medak district were provided microphones and cameras and they produced their own images and voices. The e-Literacy programme has entered its second phase in Kerala. With a view to initiate new learners into the second phase, packages such as `Vijayabheri,’ `Inter- learn programmeme’ have been chalked out under the Akshaya programme. For those aspiring for more advanced programmes, the organisers have designed the `e-Vidya,’ package. The Internet programmes designed are Internet to the masses, computer animation, besides other programmes such as Learn English. A number of service programmes too would be channelled through the Akshaya Centres such as payment of electricity bills, university fees, BSNL land and mobile phone bills among others. 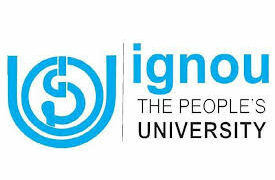 Treading on the lines of the recommendations made by different state open universities and distance education institutions, the Indira Gandhi National Open University’s (IGNOU) board of management has approved the National Open and Distance Learners Library and Information Network (NODLINET) initiative. Furthermore, the expert committee set up by the ministry for human resource development (MHRD) has endorsed the initiative, which will now be implemented in a phased manner within a period of five years. A national task force, of which IGNOU vice-chancellor, V N Rajasekharan Pillai will be chairman, is now in the making to concretise the plans. The task force would comprise vice-chancellors of different open universities across the country, representatives from MHRD, experts on library and information science, and heads of DEIs. 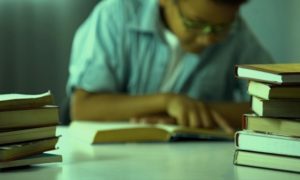 Access to quality support material is difficult in most cases as it is not physically possible to set up libraries in all the 5,000 study centres across the country. NODLINET is an initiative, which will integrate the concept of virtual or digital library to be supported by several portals. NODLINET will include e-Books, journals and other digital and e-Resources for all ODL students. It would also provide help and give guidelines to all DEIs to strengthen not only their physical libraries, but also for their automation. India has launched its first satellite for education, which will connect classrooms in remote areas of the country. The Indian Space Research Organisation (ISRO) has launched the first satellite, EDUSAT for education. Initially, three universities from three states, Karnataka, Maharashtra and central Madhya Pradesh would be linked through the satellite. In the second phase, the satellite will connect two more states and connect more than 1000 classrooms. The main mission of the satellite is to help train teachers and provide primary and university education in remote regions. The satellite will be sent into space by the locally-built geosynchronous satellite launch vehicle, which can carry communication satellites weighing up to 2,000 kilograms. Gemini Communication Ltd. has bagged an order worth INR 57.60 crore from the Punjab Government. Gemini will now be the service provider for supply, installation and maintenance of IT Infrastructure for phase III of information and communication technology (ICT) Education project. This project would cover about 2085 Government Schools in rural and urban areas across the state of Punjab. The project would be on a lease, maintain and transfer (LMT) model for 5 years under the ICT Education project in schools. Gemini’s responsibility will be to set up the entire networking in the school, install the workstations and servers with all the software and also maintain the infrastructure for five years. Teachers/Instructors employed by the Government will utilise the infrastructure to provide computer education to students. 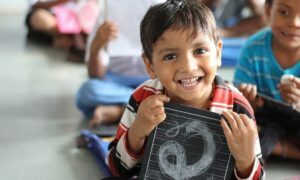 With the Punjab Schools project being a BOOT model, Gemini will execute orders worth about INR 175 cr in the first two quarters while recognising revenues for about INR 125 cr. The Anna Science Centre Planetarium situated in Tamil Nadu, will soon be getting an EDUSAT uplink with the support of the Department of Science and Technology. An interactive scientific kiosk, established by the IBM, will also be operational at the centre soon. The educational broadcast through EDUSAT will be available at the Anna Science Centre Planetarium by June, 2007. The planetarium would also get video conferencing facility in order to facilitate interaction with other science centres across the country. The programmes will include regular interaction with scientists for which an annual agenda will be drawn. The centralised agenda will be coordinated along with other science centres with EDUSAT facility, including the two centres in Tiruchi and Chennai. The centre has also come up with a new planetarium show titled `Astounding Universe’ on astronomy and constellations. Now, India based B-schools will record lectures and make them available to its students over iTunes.